PC Celebrates Its 30th Anniversary - Does It Have A Future ? Way back in 1981, when IBM first introduced IBM PC's 640KB usable RAM limit, a certain luminary supposedly uttered this (now famous) statement - "640K ought to be enough for anybody". 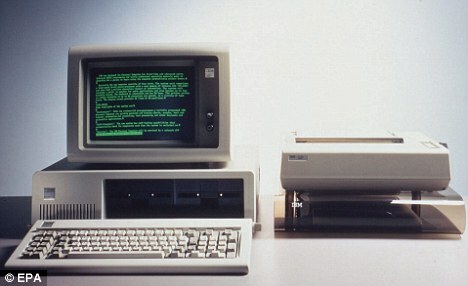 Bill Gates can however take solace in the fact that in the late 1950s, the then head of IBM, Thomas J Watson, predicted a potential world market for "maybe five computers". Both these prophecies have been proved wrong. There are hundreds of millions of computers being used the world over. And technology permeates every aspect of our social, family, and business lives. The "now ubiquitous" PC is celebrating its 30th anniversary. So one question remains - Is the PC going the way of the Dodo ? Are we at the cusp of relegating the PC from our lives for more advanced computing devices like the cell phone or a tablet ? Dr Mark Dean - the chief technology officer at IBM, and one of the persons instrumental in the invention of the Personal Computer (PC), thinks so. While PCs will continue to be much-used devices, they’re no longer at the leading edge of computing.They’re going the way of the vacuum tube, typewriter, vinyl records, CRT and incandescent light bulbs. Dr Dean further claims in his blog that he has himself moved away from the Desktop PC as we know it and is now using a tablet for all his computing needs. Interestingly, PCMag.com - a magazine dedicated to PCs and computing; is aggressively countering Dr Dean's argument by providing reasons as to why "The Desktop PC is Not Dead". What do you - the readers of this blog - think? Do you share Dr Dean's opinion; or would you rather throw your weight behind the PC for years to come? I for one think we are definitely on the verge of major technological innovations. However, I do relish sitting in front of a Desktop PC and typing away. Nothing will ever measure up to the comfort of typing on a full length keyboard or looking at a full size monitor. Then again, I might be proved wrong just like Bill Gates or Thomas J Watson. Only time will tell.